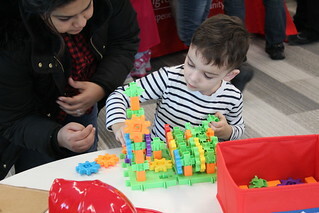 The 16th Annual Clarington Winter WonderLearn Festival was held at the Courtice Branch on Family Day Monday, February 18, 2019! Families enjoyed a free day of fun at a festival designed to get people active, learn something new, and enjoy time together! This year's theme was STEAM (science, technology, engineering, arts, and math), with special guest, Mad Science!